How to change color combinations of your website? 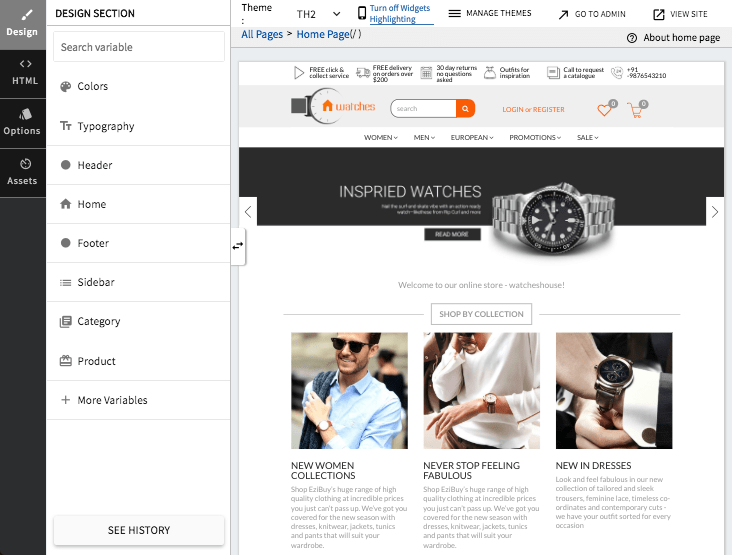 StoreHippo gives you the liberty to modify your website according to your requirements. You can design the look and feel of your website according to your taste or requirements. You can extensively change the color of your website. Here are some examples to guide you. The reflections of changes of primary color may vary as per the theme used. For example, you can also change the color of the category names using nav-header-link color variable mentioned in the header section in a few themes. 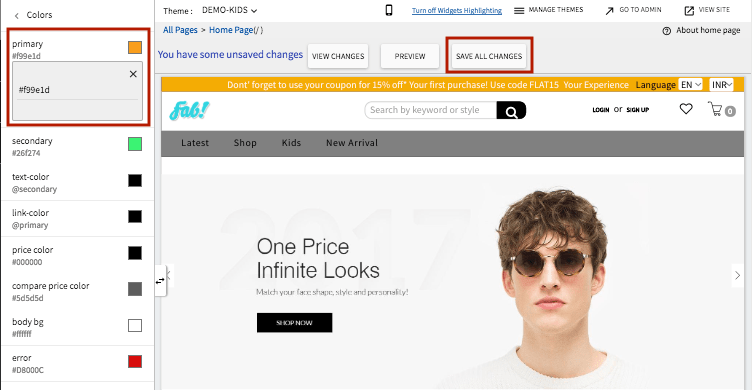 How to change the primary color of your website? The primary color is mainly used for styling your website. It reforms the look of a website majorly. You can change the primary color of your website very easily. Follow the mentioned steps to effortlessly change the primary color. 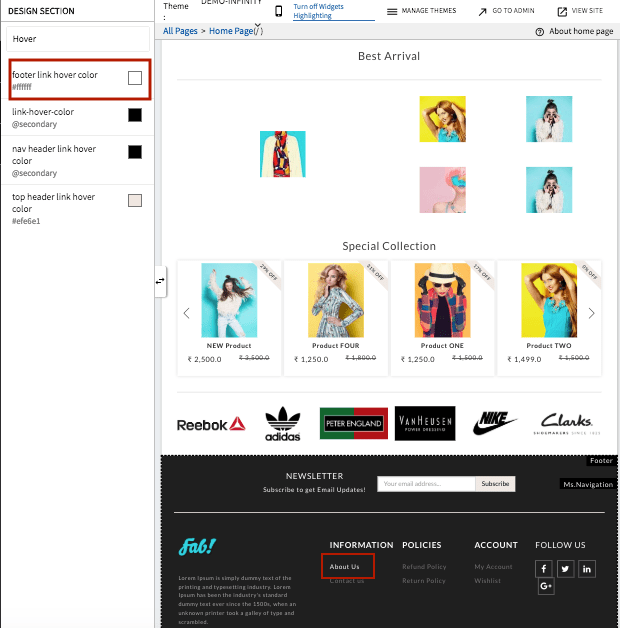 Go to StoreHippo Admin Panel. Click on Design theme in the top right corner. 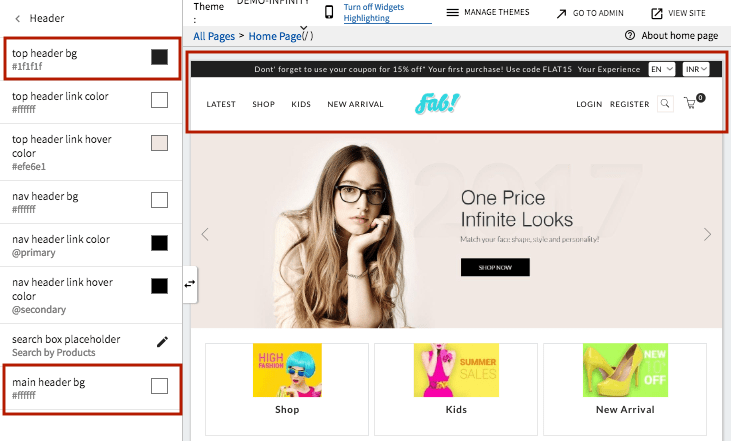 The StoreHippo theme designer is opened as shown below. Go to the left navigation panel in design theme. In the Design section, click on Colors. Find "primary" and click on it. Edit the primary color and provide the color code as '#99e1d'. Click on Save all Changes to save the recently made changes. You can now view the changed color on your website. 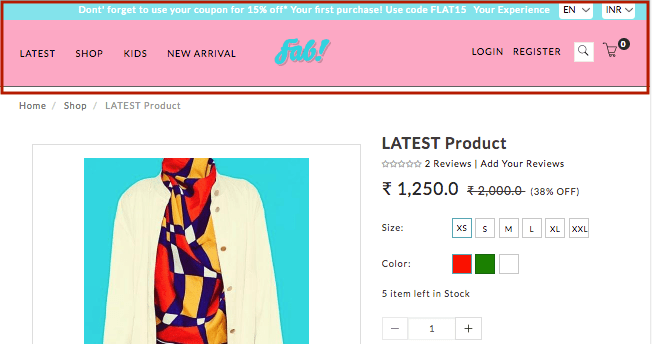 How to change the color of buttons on your website? 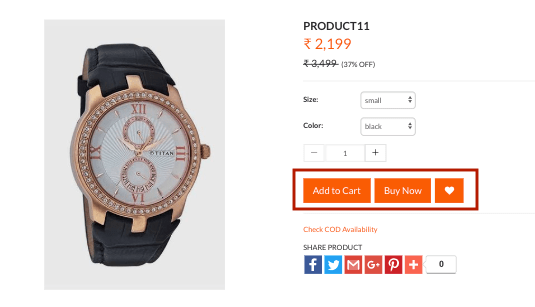 You can change the color of the buttons to make your product page attractive. Go to the left navigation panel in design theme. In Design section, click on More Variables > Miscellaneous. Find "btn primary bg" and click on it. Provide the color of your choice in the input box. Preview the changes if you want by clicking on the Preview button. Click on Save all changes to save the recently made changes. Now you can view the changes on your website. 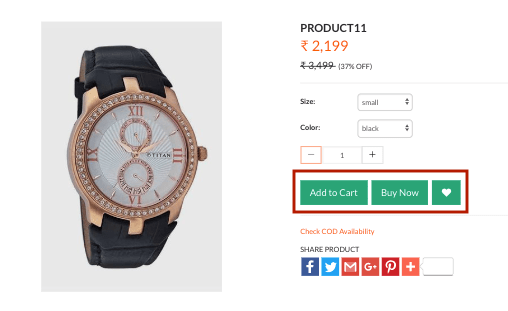 Click here to know more about StoreHippo design theme. How to change the hover color on your website? 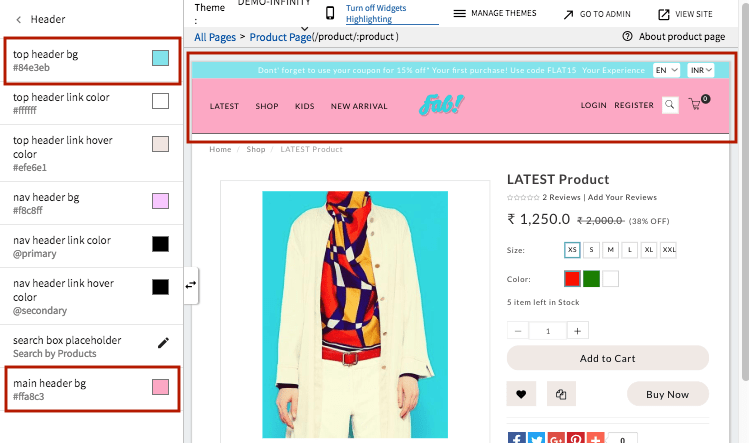 StoreHippo lets you customize the hover color of your website. The hover color is the color that appears when you hover the pointer over a clickable text. 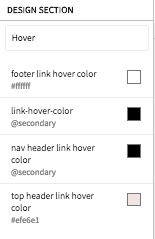 In Design section, search "hover". The following results appear. 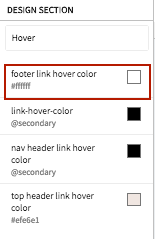 Click on "footer link hover color" and choose the color of your choice. How to change the header background color on your website? 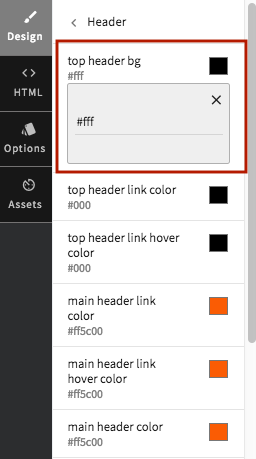 You can change the background color of the header in a few simple steps. 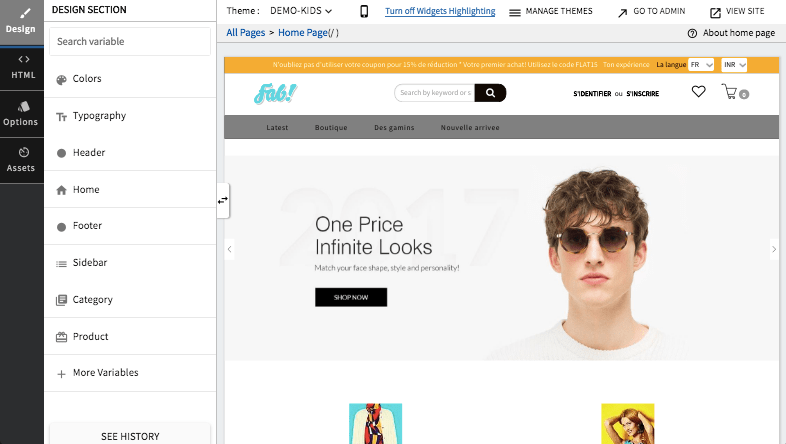 In Design section, click on Header. Click on "top header bg". Provide the color of your choice in the input textbox. Note: These are theme specific examples. The settings might vary theme to theme. Q. Why is the color of buttons not changed when the primary color in changed? When you change the primary color of a theme, the reflection of the changes may vary in different themes. So some themes may support the changing of color on buttons and others may not.